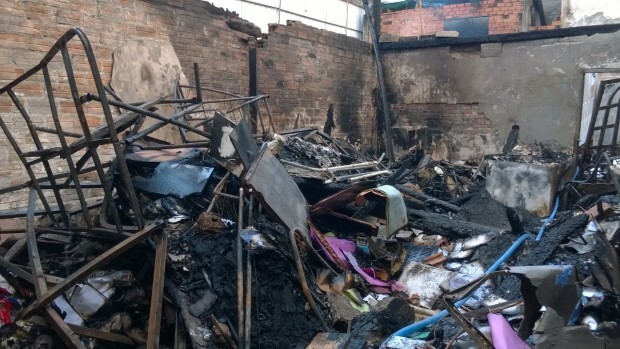 Just over a month ago a terrible fire burned down the JavaArts office and storeroom in Phnom Penh, Cambodia. The homes of 9 families were destroyed, leaving many people homeless. Fortunately no one was hurt. We are devastated, however, by the loss of 150 artworks by eight artists. Many of whom JavaArts has been working with for many years. Those works were moved there just that day from our gallery space which we were kicked out of when the house owner sold it a few weeks before. The work of eight artists: Anida Yoeu Ali, Chath PierSath, Genevieve Marot, Neak Sophal, Nicolas C Grey, Oeur Sokuntevy, Qudy Xu-Min and William Graef are valued at $20,000 and accounts for about 10% of the available works on the art market in Cambodia. Our initial shock turned into grief, and grief turned into thinking about real and practical things. Each of these artists depends on the sales of their artworks to live, to maintain visibility and to continue making art – it is an important part of who they are. For 15 years, JavaArts has provided support, space for exhibitions, and artwork storage for artists in Phnom Penh. It is an important and needed platform for the incubation and production of contemporary art in Cambodia. While many of the artists affected by the fire will continue their work, Cambodia’s art history suffered because those 150 artworks are gone forever. This terrible accident just shows how fragile the Cambodian art scene really is. Without insurance or other means to cover the artists’ loss of income, we are turning to the community for support. $20,000 – This amount of the money raised will go to the artists to cover their individual losses. The 150 artworks are in fact valued much higher, but this will cover the loss of income that they would have received if the works were sold. Over the goal – We also see this as an opportunity to reinvent and demonstrate resilience. Any money raised over $20,000 will be put in a fund for an artist-led project to be developed by the eight artists affected by the fire. JavaArts continues to support artists in Cambodia through its exhibition platform and is committed to nurturing emerging talents now and in the foreseeable future. Without your support, none of this would be possible. Thank you!